Events listed relate to Canadian women with a few extra items added to give the timeline perspective. This timeline is not all inclusive. February 5, 1930 - Cecile Elaine Eustance Smith Hedstrom (1908-1997) is the 1st Canadian to win a world championship figure skating medal when she places 2nd with a silver medal at a competition in New York City, New York, U.S.A.
1930 - Female teachers in the city of Toronto earn $1000.00 to $2400.00 per year while male teachers earned $1200.00 to $3000.00 per year Source: Janet Ray, Towards Women’s Rights, Toronto, Grolier Ltd, 1981. 1930's - The Preston Rivulettes, one of the greatest dynasties in Canadian sport, is formed. The team dominate, female hockey 1930-1939, the Rivulettes clamed 10 Ontario, 10 Eastern Canadian and 6 Dominion hockey titles Source: www.femalehockey.ca accessed January 2013. 1930 - Born Jane Margaret Carson Champagne (1930-2008) writer & landscape artist. December 14, 1930 - Born Suzanne 'Suzi' Morrow-Francis (1930-2006) international champion pairs figure skater & international skate judge. July 4, 1931 - Born Gloria Cranmer Webster (1931- ) 1st aboriginal woman to attend the University of British Columbia. July 10, 1931 - Died Louise McKinney (1868-1931) politician & member of the "Famous Five"
November 10, 1931 - Died Henrietta Louise Edwards (1849-1931) member of the "Famous Five"
June 14, 1932 - Died Maria-Clara Dorimène Roy-Desjardins (1856-1932) businesswoman & banker of Desjardins. September 3, 1932 - Died Mary Adelaide Dawson Snider (1879-1932) journalist & a founder of the Canadian Womens Press Club. 1933 1933 - A reasonable and adequate diet for a family of five in Toronto is $7.65 per week! 1933 - Mary Belle Barclay and her sister E. Catherine Barclay pitch a tent in Bragg Creek, Alberta to welcome campers to the 1st Hostel in North America. In 2012 Parks Canada declare this to be an Historic Site. Source: 100 More Canadian Heroines by Merna Foster Dundurn Press, 2011. Winter 1933 - The Dominion Women's Amateur Hockey Association is formed. Lady Bessborough, Roberte de Neuflize Ponsonby (1882-1979), wife of the Governor General of Canada, donates a championship trophy for the Dominion Women's Amateur Hockey Association. The Edmonton Rustlers won the 1st trophy Source: Coast to Coast Hockey in Canada to the Second World War. Edited by John Chi-Kit Wong. (University of Toronto Press, 2009) page 142. July 17, 1933 - Died Mary Agnes Fitzgibbon (1862-1933) Journalist ...pen-name Lally Bernard. September 3, 1933 - Died Jean Wilson ( -1933) award winning speed skater. October 10 , 1933 - Died Ione Christensen former Commissioner of the Yukon Territories and Appointed to the Senate of Canada 1999. March 24, 1934 - The inaugural games of the Eastern Canadian Women's Hockey Championships is held with the Preston Rivulettes winning over the Montreal Maroon's 4 to 1 Source "Queens of the Ice Lanes: the Preston Rivulettes and women's hockey in Canada 1931-1940 " by Carly Adams in Sport History Review 2008 Vol. 39 pages 1-29. Winter 1934 - The Dominion Women's Amateur Hockey Association did not host n annual even because the cost of travels for the team to play was too difficult to raise. The Preston Rivulettes defaulted against the Edmonton Rustlers Source "Queens of the Ice Lanes: the Preston Rivulettes and women's hockey in Canada 1931-1940 " by Carly Adams in Sport History Review 2008 Vol. 39 pages 1-29. February 12, 1934 - Born Mary Alice Dawe Downie (1934- ) children's author. March 17, 1934 - Born Patricia 'Pat' Mary McDonagh (1934-2014) fashion designer. Winter 1935 - The Preston Rivulettes defeat the Winnipeg Eaton's Ladies in the Dominion Ladies Hockey Championships Source "Queens of the Ice Lanes: the Preston Rivulettes and women's hockey in Canada 1931-1940 " by Carly Adams in Sport History Review 2008 Vol. 39 pages 1-29. 1935 - Alice Wilson (1881-1964) Canada's 1st woman geologist is appointed as a member of the Order of the British Empire Source:100 Canadian Heroines: famous and forgotten faces by Merna Forester. Toronto : Dundurn Press, 2004. 1935 - Alex Gibb (1891-1958) is the only woman on the Ontario Athletic Commission Sources: “Queen of the Ice Lanes: the Preston Rivulettes and Women’s Hockey in Canada 1931-1940” by Carly Adams in Sport History Review no. 39 pages 1-29 2008; 100 more Canadian Heroines by Merna Forster Dundurn Press, 2011. 1935 - The western Shield Championship for women's hockey is established. It is the longest running women's hockey tournament Source: www.femalehockey.ca accessed January 2013. March 15, 1935 - Born Mary Pratt, her paintings look so real you think they are photographs! March 31, 1935 - Died Emma Lorne Duff ( ?-1935) teacher and author. April 23, 1935 - Died Georgina Ann Stirling (18661935) opera singer. May 8, 1935 - Died Susie Frances Harrison (1858-1935) pen name Seranus & wrote novels & poetry. September 5, 1935 - Died Eliza Ritchie, (1856-1935) probably the 1st Canadian woman to receive her doctor of letters. November 25, 1935 - Died Gwethalyn Graham. (1913-1935) award winning author. December 26, 1935 - Died Ida Virginia Barclay (1877-1935) businesswoman & owned of ski resort, one of the 1st to offer ski trails. 1936 March 1936 - sports journalist Alexandrina Gibb labels women's hockey contests as battles between players who demonstrate an aggressive form of hockey and that players were as good as the men's teams in scraps on the ice Source: "Queens of the Ice Lanes: the Preston Rivulettes and woman's Hockey in Canada, 1931-1940" by Carly Adams in Sport History Review vol. 30 pages 1-29 2008. 1936 - Nellie McClung (1873-1951) is appointed as the only woman to the Board of Governors of the Canadian Broadcasting Corporation (CBC). She served on the board until 1942. September 14, 1936 - Dorthea Palmer (1908-1992) a nurse is arrested for the distribution of birth control information. She is eventually acquitted in 1937 at trial which makes distribution of this information legal Source: Today in Canadian History, written, compiled, edited and produced by Ottawa Researchers. 1936 - Margaret Paton Hyndman (1901? -1991) is the 1st Toronto woman to be appointed King's Council & the 2nd woman in the British Empire to be appointed to this position Sources: Toronto Business and Professional Club, website accessed March 1913. ; Margaret Hyndman, lawyer: no warm welcome 50 years ago, Ottawa Citizen June 13, 1976. Winter 1936 - the Dominion Women's Amateur Hockey Association did not host n annual even because the cost of travels for the team to play was too difficult to raise. The Preston Rivulettes defaulted against the Winnipeg Olympics Source "Queens of the Ice Lanes: the Preston Rivulettes and women's hockey in Canada 1931-1940 " by Carly Adams in Sport History Review 2008 Vol. 39 pages 1-29. 1936 - Edra Isles Saunders Ferguson (1907-2011) in 1936 she was 1st woman elected as alderman in St Thomas, Ontario Sources: Diversifying the bar; Law Society of Upper Canada online accessed January 2013. Obituary, St Thomas Times Journal November 2011. June 26, 1936 - Born Marion Margaret Cuming (1936- ) artist to uses her talents to help emotionally disturbed children. November 7, 1936 - Born Audrey McLaughlin (1936- ) 1st woman in Canadian History to lead a federal political party. December 16, 1936 - Born Karleen Bradford (1936- ) author of books for youth. December 24, 1936 - Born Joan Elizabeth Humphrey (1936-2008) professional name J.J. McColl, Vancouver's 1st woman radio D.J. Winter 1937 - The Preston Rivulettes defeat the Winnipeg Eaton's at the Dominion Ladies Hockey Championships tSource "Queens of the Ice Lanes: the Preston Rivulettes and women's hockey in Canada 1931-1940 " by Carly Adams in Sport History Review 2008 Vol. 39 pages 1-29. 1937 - Léa Roback (1903-2000) leads 5000 garment industry workers in Montreal on a massive strike that lasted 25 days. They were protesting 60 hour work weeks, poverty level wages and miserable working conditions Source: 100 Canadian Heroines : famous and forgotten faces by Merna Forester. Toronto : Dundurn Press, 2004 Pg. 205. 1937 - Plan International is founded as a Foster Parents Plan, a global movement for change, mobilizing millions of people around the world to support social justice for children in developing countrie. Source: Herstory 2012: The Canadian Women's Calendar 2012. Saskatoon Women's Calendar Collective. 1937 - Kraft Diner is introduced to the world Source : Canuck Chicks and Maple Leaf Mamas : women of the Great White North by Ann Douglas Toronto, McArthur and Co., 2002. pg 17. 1937 - The invention of the blender is introduced to the North American market Source : Canuck Chicks and Maple Leaf Mamas : women of the Great White North by Ann Douglas Toronto, McArthur and Co., 2002. 1937 - Born Aiko Geraldine Suzuki (1937-2005) sculptor, painter, printmaker, dance set designer, curator & teacher. June 11, 1937 - Born Alice Katrina Loewen Chambers (1937-1999 Scientist and community activist for the environment. June 18, 1937 - Born Rose-Marie Losier-Cool (1937- ) Member of the Canadian Senate. September 15, 1937 - Born Marjorie Harris, (1937- ) renowned author & gardening enthusiast, she is the expert of her era. December 1, 1937 - Born Sheila Leah Fischuman (1937- ) translator specializing in works of contemporary Quebec literature. 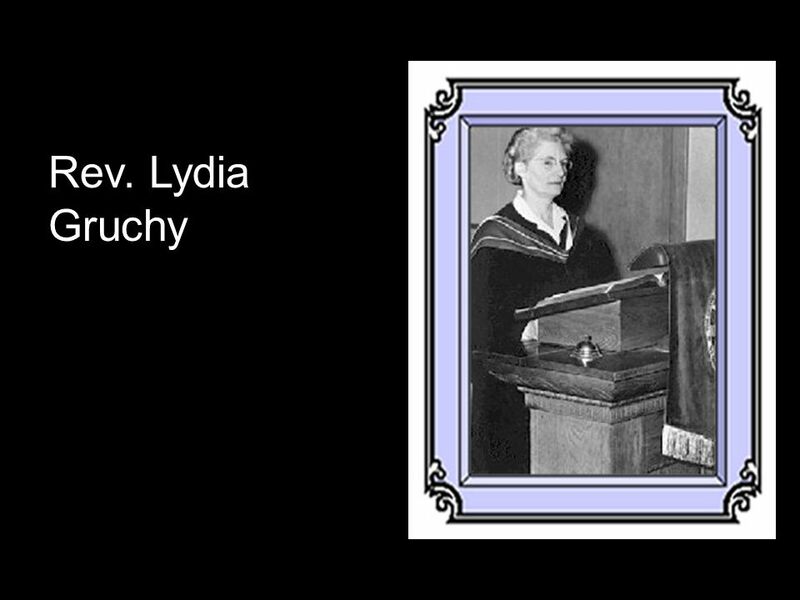 February 2, 1937 - Died Eudora Lochead ( -1937) pioneer store owner on the west coast. March 30, 1937 - Died Maria Heathfield Pollard-Grant (1854-1937) social activist, suffragist, & school trustee. 1938 Winter 1938 - The Preston Rivulettes defeat the Winnipeg Olympics in the Dominion Women's Hockey Championships. The Rivulettes also earn the Fanny Rosenfeld and Romeo Daoust this year Source "Queens of the Ice Lanes: the Preston Rivulettes and women's hockey in Canada 1931-1940 " by Carly Adams in Sport History Review 2008 Vol. 39 pages 1-29. Winter 1939 - the Preston Rivulettes defeat the Winnipeg Olympics and Charlottetown Islanders at the Dominion Women's Hockey Championship Source "Queens of the Ice Lanes: the Preston Rivulettes and women's hockey in Canada 1931-1940 " by Carly Adams in Sport History Review 2008 Vol. 39 pages 1-29. 1939 - Lucile Garner Grant (1910-2013) is the 1st woman hired by Trans-Canada Airlines to be a stewardess Source: “She was Canada’s firs airline stewardess” by Nora Ryell The Globe and Mail, March 29, 2013. 1939 - The Canadian Home Economics Association is formed Source: Herstory: the Canadian Women's Calendar 2000 (Silver anniversary edition) . Coteau Books, 1999 page 30. 1939 - The Royal Winnipeg Ballet is founded by Gweneth Lloyd (1901-1993) and Betty Farrally. (1915 - 1989) as the Winnipeg Dance Club renamed to Winnipeg Ballet in 1941 Sources: Memorable Manitobans Online (Accessed April 2014) ; The Canadian Encyclopedia Online (Accessed April 2014). Book: The Royal Winnipeg Ballet: the first forty years (1979). 1939 - Kay Martin -Snelgrove (1921-2005) begins delivering covert letters from the British War Office for delivery to the President of the United States under the direction of William Stevenson, also known as INTREPI. July 19, 1939 - Born Alexandra 'Sandy' Ferguson-Johnson (1939- ) author served as President of the Canadian Council of Churches. July 26, 1939 - Born Catherine Callbeck, politician and business woman, former Premier of Prince Edward Island and Senator. August 23, 1939 - Born Isabel Bassett (1939- ) politician and broadcaster. September 15,1939 - Born Sally Elizabeth Kemp (1939- ) sports coach for basketball, hockey, volleyball and badminton. 1939 - Born Glenda Simms (1939- ) 1st Black woman appointed President of the Canadian Advisory Council & 1st appointed to this level of government. January 9, 1939 - Died Sarah Foulds Camsell (1840-1939) pioneer of Red River Settlement, Manitoba. June 2, 1939 - Died Sara (Sarah) Mickle (1853-1939) local historian in Toronto.